Haunted Eilean Donan Castle, home to dark history, myths and legends. Eilean Donan lies in one of the most scenic spots in Scotland. Built on an island, where Loch Duich, Long Long and Loch Alsh meet, it was once the site of an Iron Age vitrified fort, built by the Picts. It takes its name from a Gaelic Priest, Saint Donnán of Eigg who lived around 580 AD and was martyred while trying to bring Christianity to the Pictish people of north western Scotland. 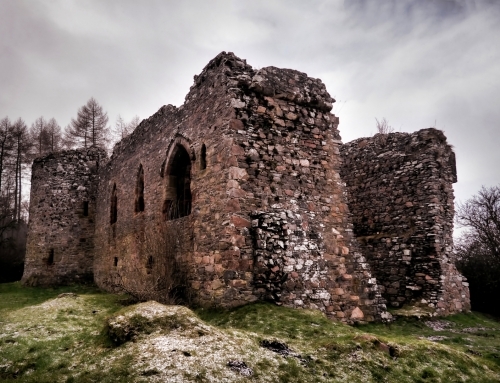 The castle was a stronghold of the MacKenzies and was built on the command of Alexander II in the 13th Century as a defence against Viking raiders who were active along the north west coast of Scotland during this time period. The castle is said to be haunted by a Spanish soldier who was based there during the Jacobite Rebellion. 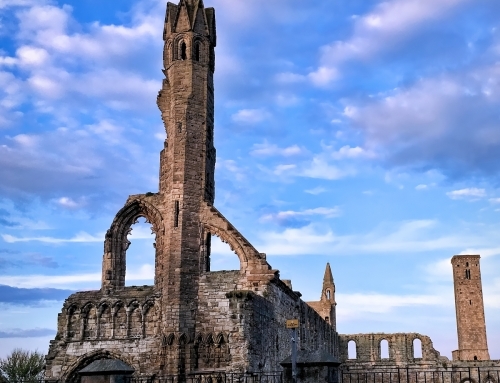 The roots of the Jacobite Risings stem from the religious struggles of the Reformation. 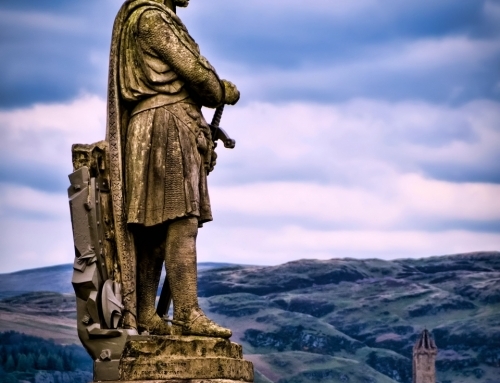 King James the Vll of Scotland and II of England, decided that by promoting edicts of religious tolerance, he would be able to surreptitiously re-establish Catholicism as the official faith of the British Isles. However, the Protestant backlash reached near hysteria levels which only increased when a son was born to the King and Queen. The Protestants turned to James’s son-in-law William of Orange. In 1688 he led a successful invasion of England. James panicked and fled. The Scottish Jacobite movement died out with the death of their military leader, Viscount Dundee. 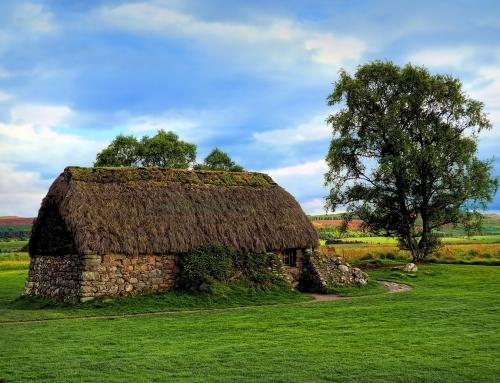 However, the Union of the Crowns in 1707 acted as the catalyst which resurrected the Jacobite cause in Scotland and saw many die-hard Presbyterians change sides. In 1719, Philip V, King of Spain and his Italian counsellor, Cardinal Giulio Alberoni, threw their lot in with the Scottish Jacobites in the hope of de-stabilising the British crown and setting up a more pliant king in its place. The aim was to put James Francis Edward Stuart, son of James VII on the throne. An invasion force of 27 ships carrying 5,000 soldiers led by George Keith, 10th Earl Marschical, set sail from Spain to land in Scotland and raise the clans. Most of the ships were dispersed by storms. In the event only 300 Spanish troops landed near Eilean Donan Castle. The Scottish contingents were only able to recruit 1,000 of the clansmen and on the 10th June 1719 were defeated at Glenshiel by a force led by General Joseph Wightman. 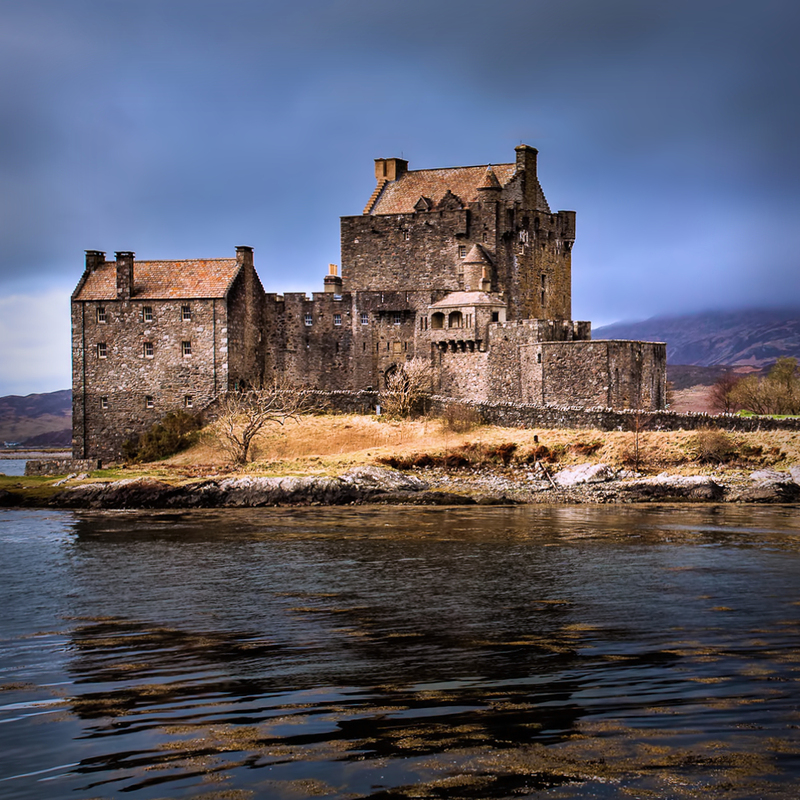 In April 1719, William MacKenzie the 5th Earl of Seaforth and owner of Eilean Donan Castle, stayed behind to hold the castle and wait for the arrival of weapons and cannon from Spain while the main force headed south. The castle was garrisoned by 46 Spanish soldiers. They had established a magazine of gunpowder in the low house at the rear of the castle and another in the small house which was the main dwelling place of the Spanish soldiers, Unfortunately the British Government found out about the intended uprising and sent three heavily armed frigates The Flamborough, The Worcester, and The Enterprise up Loch Alsh, to quell matters. The naval bombardment of the castle lasted three days but was met with limited success as the castle walls were up to 14 feet wide in places. Eventually, on the 10th of May 1719, Captain Herdman of The Enterprise sent his men ashore and over-whelmed the Spanish defenders. Following the surrender, the government troops discovered the magazine of 343 barrels of gunpowder which was then used to blow up what had remained from the bombardment. The castle was left to lie in silent ruin for almost 200 years. The castle was restored in the early part of the 20th Century and it was discovered that the castle had not lain completely empty while in its ruinous state. The spirit of one of the fallen Spanish soldiers is said to linger in what is now the gift shop, with his head tucked under his arm. An apparition known as ‘Lady Mary’ has been seen haunting one of the bedrooms. A creature similar to the Loch Ness Monster has been sighted on Loch Duich. Since this is a sea loch, it has been suggested that the ‘reptilian neck’ of the monster might be the dorsal fin of a killer whale. 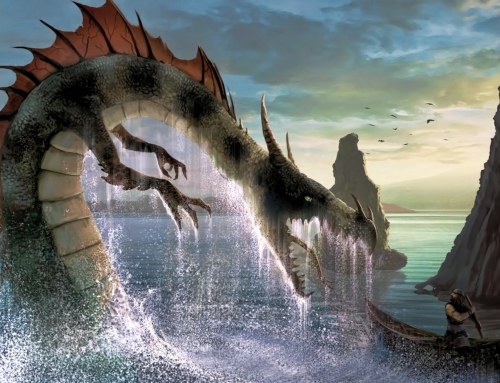 While this is a plausible explanation, it does not explain the nature of the Loch Ness Monster as Loch Ness is an inland freshwater loch. According to legend, Eilean Donan is said to be the burial grounds of the Otter Kings. Their descendants live there to this day. In the past, sailors believed that the island was home to mermaids and seal maidens. A common element in all the seal maiden or selkie tales, and perhaps the most important, is the fact that in order to shapeshift they had to cast off their sealskins. Within these magical skins lay the power to return to seal form, and therefore the sea. If this sealskin was lost, or stolen, the creature was doomed to remain in human form until it could be recovered. If a human discovered the sealskin they could hold the maiden captive. In one local legend, three brothers went fishing in the loch one night. They became enraptured by three seal maidens who had shed their seal skins and assumed human forms, while they danced by the moonlight on the sands. The brothers stole their furs, intending to claim the seal maidens as their wives. The youngest brother, was so moved by his intended’s distress that he returned her seal skin and as a reward for his kindness was permitted to see his love on every ninth night. The middle son’s wife found her fur and was able to escape back to the sea. However, tragedy struck the eldest son. He tried to burn his wife’s fur as a preventative measure and accidently burnt his wife in the process. Whether or not, you encounter a ghost or a sea creature, Eilean Donan is a truly haunting place whose scenic grandeur and impressive architecture will not be easily forgotten.